Place settings including dishes, napkins, etc. Table décor including centerpieces, lighting, place cards, etc. table, the chairs, under the table and chairs (carpets) the space above your table up to the ceiling - sure, you can hang things! There is limited access to power for twinkle lights – but if you are thinking of bringing in something more elaborate please check with Arts Council staff first. All table decorating teams are invited to come together the night before the event to cocktail with your friends and put your table together. (A cash bar will be available). Consider this the pre-party party. Your décor should be well marked so that Arts Council staff can be sure it is safely gathered after the event for your pick-up. Bringing tubs with your name on it would be the best way to keep your items together. Pick-up of your décor will be on Sunday, June 10 from noon-2pm. Guests are also free to bring items home the night of the event. Tables are available with seating for 8 or 10. Seats are $100 each. ​For those who would like to attend but not decorate a table, the Arts Council staff is decorating a few open seating tables just for you. 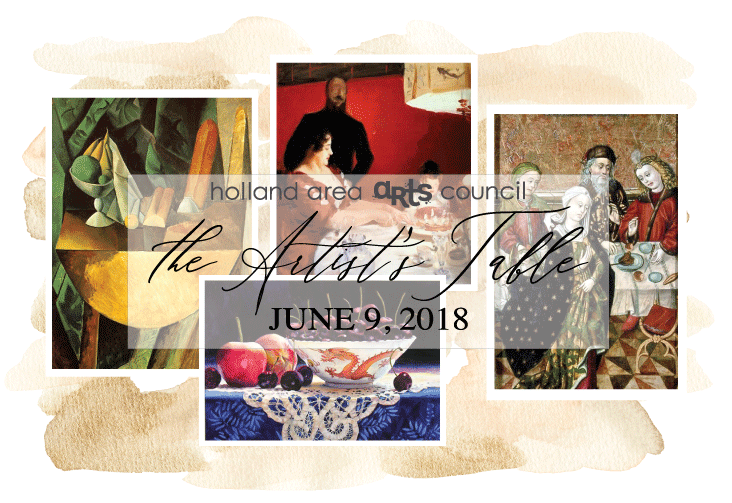 You and your creative friends are eligible to win a fabulous prize for Most Creative Table with a Special Guest Juror determining the winners. We encourage you to choose a theme that reflects an artist, art work or art genre.